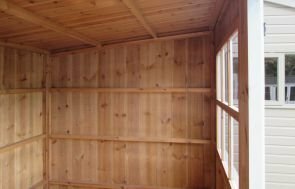 The 1.8 x 3.0m shed takes its name from Norfolk’s breath-taking Jacobean mansion, Blickling Estate, cared for by the National Trust. The customer opted for the gentle Disraeli Green shade out of the 6 National Trust paint colours, which complements its rural, rugged surroundings nicely. 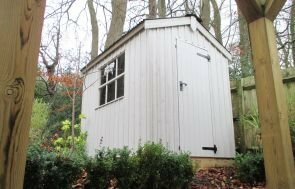 Using modern techniques, our National Trust range of sheds are practical, affordable and beautiful. Combining the traditional design features with an attractive colour pallette. They easily fit into any garden and would suit someone with a more traditional taste. 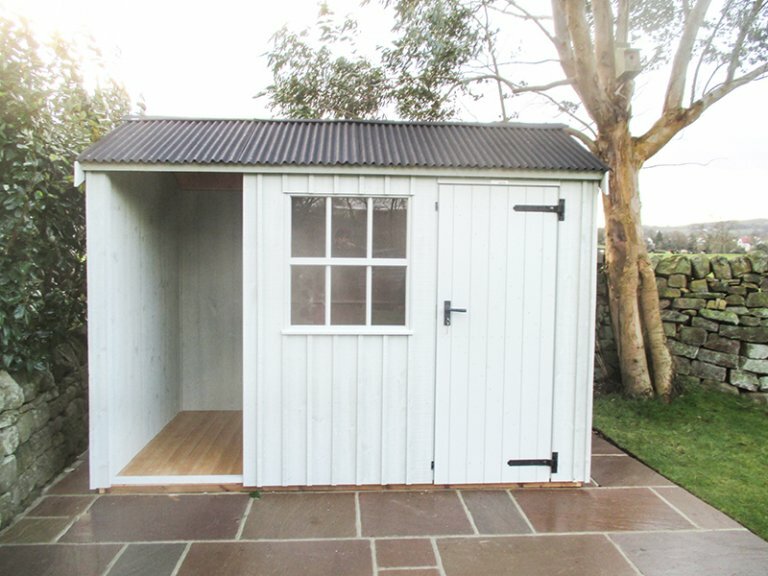 Further enhancing the traditional look of the shed is the corrugated roof, cast iron door furniture and the Georgian windows, perfect for someone seeking a shed that will blend in with a more historical property. For more information on all of our National Trust range or other garden buildings, follow the link below.